New car paint protection is key to protecting that new car for people who simply don’t have time to maintain their cars because of daily busy schedules. Investing a substantial amount of money these days in new cars is often somewhat the size of a small mortgage. Just in case you are wandering, car detailing is NOT designed to protect your car paint. These days buying a new car is the second biggest investment next to owning a home. Investing in new car paint protection or hard wax paint coatings for cars is that little bit of insurance that your car will maintain as much value as possible. Even used cars cost in excess of 50.000 dollars and when you invest in that sort of money, it would be financial suicide not to invest in proper maintenance, care or some form of protection. The two most expensive elements to a motor vehicle are the engine and your paint. Although this isn’t a mechanical repairs website we still advise not to use inferior products with your driveline as it can cost a fortune to repair. 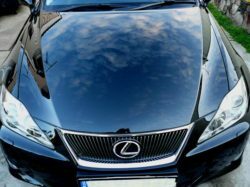 As we are professional car paint coating professionals here in Sydney, we get cars coming to us from all over Sydney for paint protection services Your car paint is the second most expensive factor on your car. Damage that or let it deteriorate through sheer carelessness and the value of your car goes through the floor. When it comes to selling a used car, first appearances play a very important role in selling that vehicle quickly. A very well presented vehicle can sell alone without even test driving because outstanding appearances say a different story. Paint protection products are not cheap by any means. Not decent ones anyway. Some of these paint protection products also take time to apply to a car’s surface. Many people often ask me if car paint protection is worth it, and I often tell them yes. If you want to maintain your car’s lustrous appeal and keep that beautiful shine, you do need paint protection. Paint protection products are not cheap by any means. Not decent ones anyway. Some of these paint protection products also take time to apply to a car’s surface. Many people often ask me if car paint protection is worth it, and I often tell them yes. If you want to maintain your car’s lustrous appeal and keep that beautiful shine, you do need paint protection. 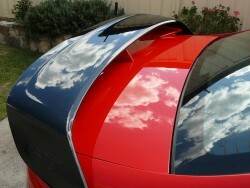 Car paint protection in many cases is part of the car detailing process. 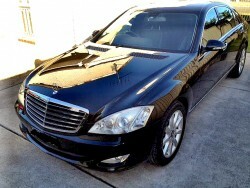 However, having said that, it goes hand in hand with exterior car detailing or paint correction. If you want to retain as much market value for your vehicle years from now, yes you will need some form of paint coating from the elements. If you want to save thousands of dollars on a new re-spray, yes you do need take some care with your paint in protecting it. Car detailing and paint protection are two major critical points of general car care. We offer also an easy choice of car paint protection services. There have been such vast levels of car paint protection that has hit the market in todays time that it is easy for one to get lost with a reasonable choice of what is good enough to do the job. Many people are also under the misguided assumption that hard coatings for protecting car paint will take a bad pant finish and magically restore it to a mirror glass finish. Not So. Exterior car detailing involving paint correction is required to remove surface damage, before any paint protection. By that we mean washing, surface cleaning, polishing , waxing. New car dealers charge an absolute fortune for how long it takes them to apply a protectant. What you don’t get for that money is having your surface pre-treated in order to enhance the appearance of your vehicle before waxing. We offer a range of paint protection installation services, from synthetic, to carnauba, and to the latest protection to hit the streets which is otherwise known as Toughseal, a P.T.F.E based paint sealant which leaves your paint surfaces like a mirror. Which ever you favour, we have the paint protection program for you. The choices are easy when you leave you car care needs to Dr Buff. Whether you want the latest protection like Toughseal, Meguairs paint protection, or Autoglym, we can give you what you want. We will take an overall look at your car, asses if too much damage is visible or if a protection treatment can be applied after a simple paint clean. We also only use world recognised brands, like Autoglym, and Meguiars and also P.T.F.E products like Toughseal. From there we take into account the use of your vehicle and which paint protection is best suited to your needs. Whether you’ve had paint correction before paint protection or not, and your car is new, the end result should be nothing but a smooth glass finish. If you have a used vehicle, it is likely that your vehicle will require some form of paint correction in order to smoothen out its top urfaces before applications of paint protection sealants. In many cases, minor car detailing of exterior surfaces usually helps. By that we mean washing, surface cleaning, polishing , waxing. New car dealers charge an absolute fortune for how long it takes them to apply a protectant. What you don’t get for that money ishaving your surface pre-treated in order to enhance the appearance of your vehicle before waxing. We offer a range of paint protection installation services, from synthetic, to carnauba, and to the latest protection to hit the streets which is otherwise known as Toughseal, a P.T.F.E based paint sealant which leaves your paint surfaces like a mirror. Which ever you favour, we have the paint protection program for you. The choices are easy when you leave car detailing to Dr Buff. Whether you want the latest protection like Toughseal, Meguairs paint protection, or Autoglym, we can give you what you want. We will take an overall look at your car, asses if too much damage is visible or if a protection treatment can be applied after a simple paint clean. We also only use world recognised brands, like Autoglym, and Meguiars and also P.T.F.E products like Toughseal. From there we take into account the use of your vehicle and which paint protection is best suited to your needs. Whether you’ve had paint correction before paint protection or not, and your car is new, the end result should be nothing but a smooth glass finish. If you have a used vehicle, it is likely that your vehicle will require some form of paint correction in order to smoothen out its top surfaces before applications of paint protection sealants. In many cases, minor car detailing of exterior surfaces usually helps.